I have some high quality cotton yarn that’s been in my stash for a long while and been looking for something to knit with it. Being cotton, it will make for a great spring/summer top and I think I might have found the right pattern. It’s a relatively easy knit with a chart pattern for the candle flame motif. I’m doing this with black yarn so I’m hoping the design will show. But if the top turns out well, it should also hide my flaws as well. I’m not usually drawn to halter tops like this but I think I have the shoulders to pull off this particular pattern. 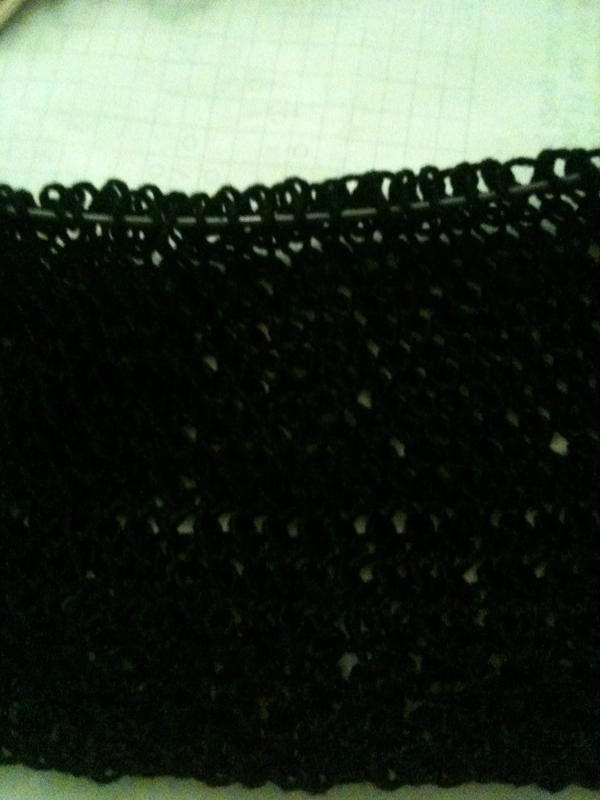 It’s hard to see but it’s stockinette stitch on circulars with a see stitch at the hems. I haven’t had the best luck when it comes to knitting tops so I’m crossing my fingers as I make this. All I need to do next is buy one of those dress forms. Can’t wait to see the finished product. I should save that pattern for when I get better. I’m posting the rug pattern for you below. It asked to gauge but I’m not, I’m just measuring what I do against my bathroom space as I go along to custom size the pattern. The size of this rug is determined by the length of the knitted strips, which can be varied as required. The rug shown here measures 32″ long by 24″ wide. 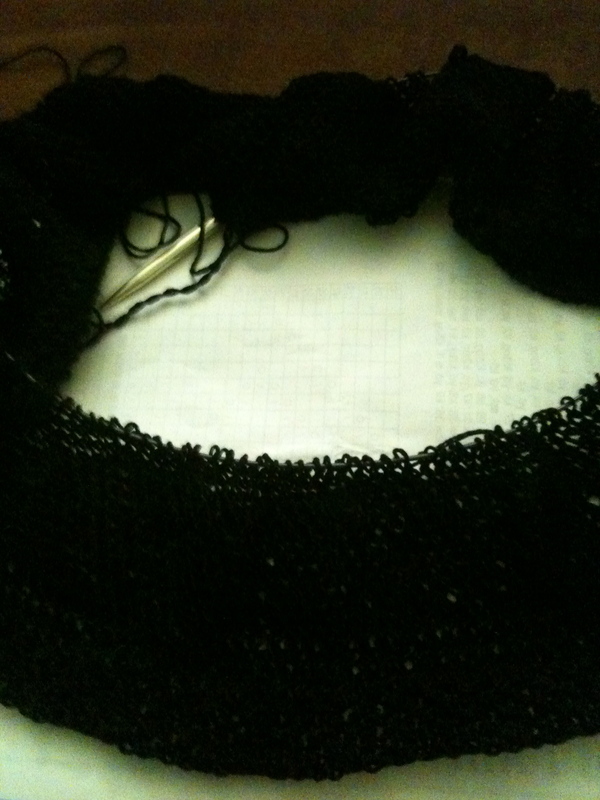 12 stitches and 16 rows = 4″/10cm in stockinette stitch using 10-1?2 needles. Repeat this row until knitting measures 32″ or required length.